Non neutral colors and jewelry was the theme from Poshlocket.com Project this month. Non neutral is exactly what I love the most, so this theme suits me perfectly. I chose to style this minimalistic "Gabrielle Organic" gold bangle that I think can be worn whether with a minimalistic, sporty, bohemian or colorful outfit. Simply the perfect glimpse of gold for any look. 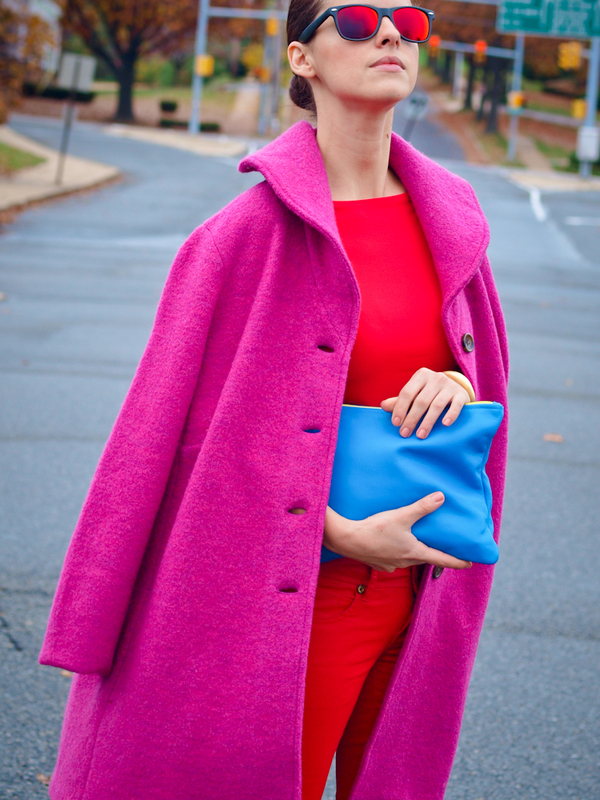 And now the COLORS: red jeans, red top, fuchsia coat, and a burst of cobalt blue from the clutch, all in the mix that I created for this outfit. 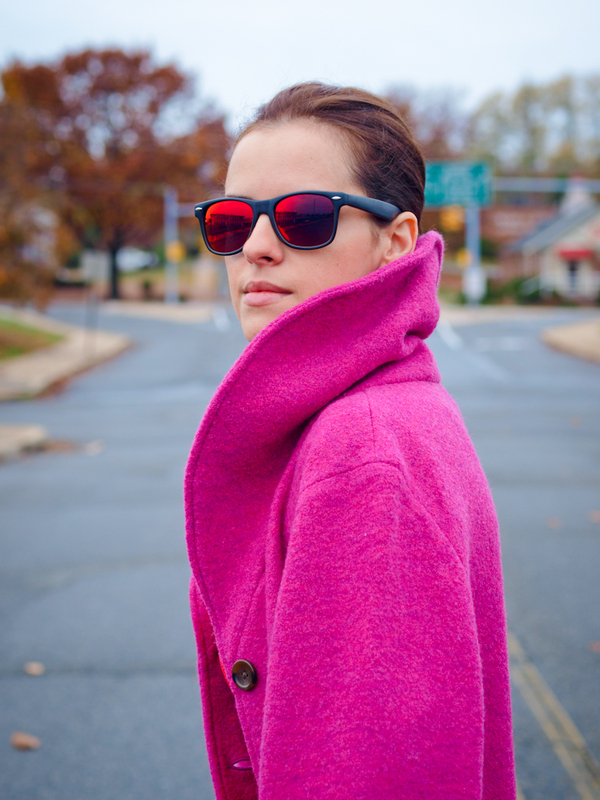 The mirrored sunglasses complete this look perfectly and for that I have to thank to zeroUV.com . No days without colors... do you agree with me ? P.S I hope everyone on the East coast is ok after the hurricane Sandy ! Wonderful colors!! Love your coat and bracelet! I LOVE this look! The all red looks fabulous on you, and I love it with that coat and shoe combo. Love the colors on you!! lovely, that coat looks so cozy and I am diggin the red on red! wow amazing colour blocking great outfit!!! My dear I was so happy to know you were okay when I read your comment on my blog. GORGEOUS COLORS!BOLD COLORS LIKE THIS CAN EASILY GO OH SO WRONG BUT YOU DO IT SUCH A SOPHISTICATED WAY..LOVE! extra like! love love love this look! 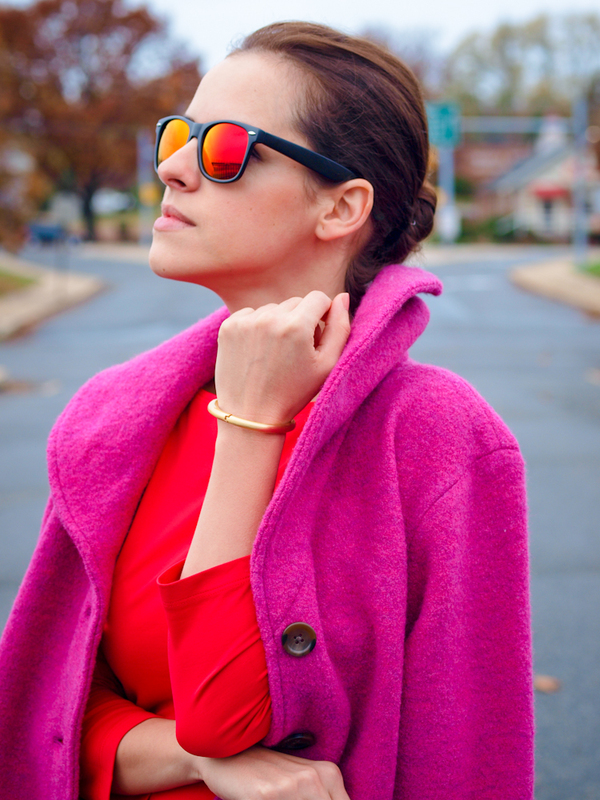 colours are sooo sweet and sunnies are perfect! This is beautiful, you rock colours so well. I love how the colours actually show up in the lenses of your sunglasses too! Love this post!!! The colors are great and I really admire your style!! 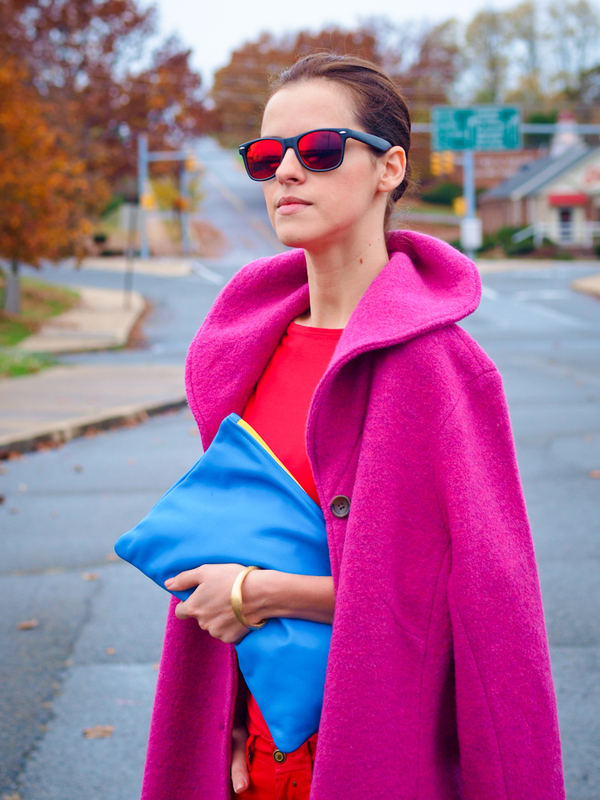 I love bold colors in the fall & winter and this combination is beautiful…such a lovely coat! Amazing colors! That coat is just fabulous the color is so rich! alucinante la mezcla explosiva del fucsia con el rojo!! This looks amazing! I love it! The sunglasses go perfectly! the color palette is kind of genius! Gorgeous colors! Beautiful outfit! Love your blog more and more! Thanks for always being my colourful inspiration! 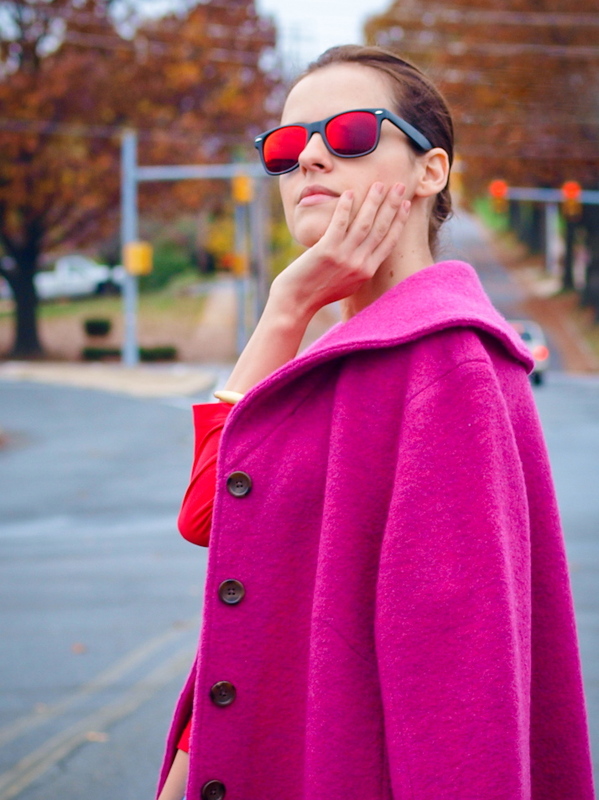 Love that you’re rocking a hot pink coat! Such a great outfit! so bright and colorful! I love it so much!! 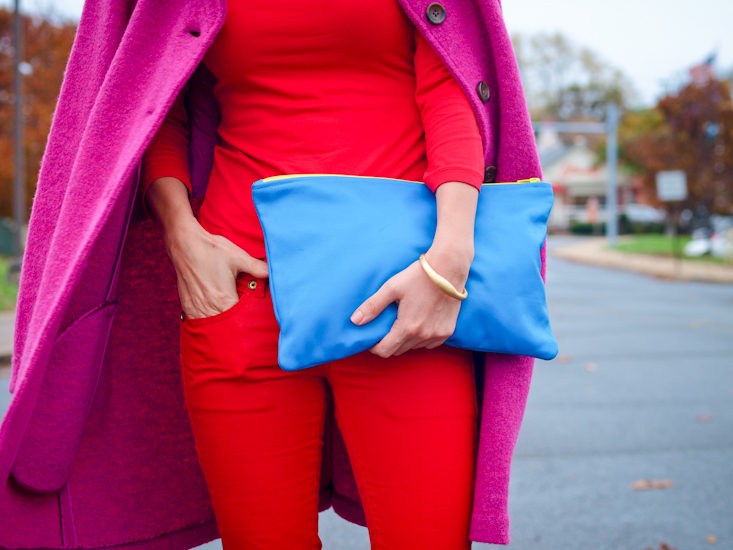 You are like the queen of color blocking! You match things so well! Great look! Loving the all red! Fierce! Such amazing color combination. Amazingly chic and contemporary in each and every of your stylistic pursuits and this one is def one of your strongest ones! Stunning as always Veronica! You have such a way with colour and you always inspire me with your colour combos! This is a stunning outfit, love the striking balance between the colours, very chic! 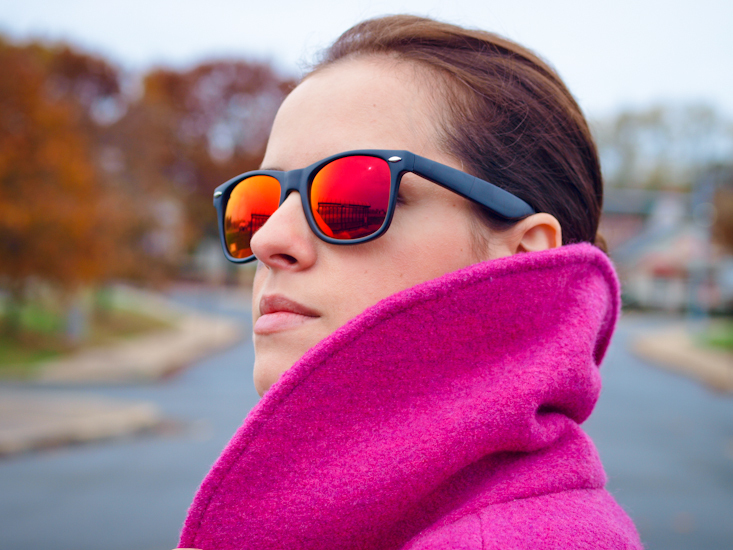 amazing utfit, love the color combination and the sunglasses are just PERFECT!